The previous letter to him was reportedly rejected over a mistake. Ukrainian film director Olen Senstov, who was convicted in Russia, remains in a Labytnangi colony in the Yamalo-Nenets Autonomous District of Tyumen Region, his cousin Natalya Kaplan has said on Facebook. "According to a reliable source, Oleh is still there, in correctional colony No 8 in Labytnangi. It turned out that the letter had the year of his birth wrong," she said. Earlier on 27 Facebook, she said that Sentsov may have been moved from the Labytnangi colony. She made this assumption after the Russian Federal Penitentiary Service that the letter to him "could not be delivered because there was no such recipient in this institution". 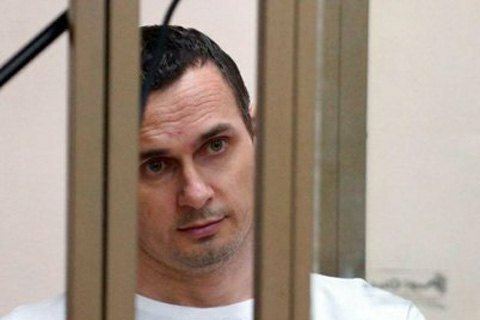 Sentsov, whom Ukraine sees as a political prisoner of Russia, was found guilty of setting up a terror group in Crimea and sentenced to 20 years in a high-security colony in Russia's Far North.